Situated in Billings, Montana, Yellowstone Downs is primarily a quarterhorse racetrack. 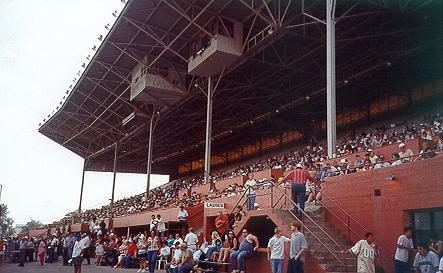 The track regularly hosts a number of futurity and derby races and the prize money is generally good enough to draw a number of racing greats to the track. It is not uncommon to see purses of $20,000 and $30,000 being offered as a reward. Each race is carefully organized and stringently categorized to ensure that the races are as fair as possible. There are weight limits, gender restrictions, age limits and breed categories for the various races and races can vary from distances measuring 300 yards to 5 1/4 furlongs.